Roulette is one of the most popular casino games in history, and millions of spins are completed each day by players around the world. Thanks to the increase in popularity of gambling online, more Roulette variations are available than ever before, and you can start playing from as little as $0.25 a spin! In this post, we’re going to take a look at how to play Roulette online for real money, along with looking at the game itself, and how you can find the best online casinos with the greatest selections of Roulette games available. We’re going to begin by looking into how the game actually works, and how you can play – so let’s get started! Roulette is pretty simple to understand and play, and the simplicity of playing is one of the reasons the game’s become so popular with players around the world. Unlike other casino games – like, say, Blackjack, or Baccarat – there’s no skill or math involved, and you can simply bet on your lucky number, or colour, and cross your fingers and hope for the best! Now, there are two main aspects that make up Roulette; the first is the Roulette wheel, and this is a wheel which contains 37 numbers; zero through 36. The numbers around the wheel alternate in colour, between red and black, and odd and even numbers, and the zero is green. When you play online casino Roulette, a ball is spun around the wheel, and after a few rotations of the wheel, the ball will land in place in one of the numbers. Any bets that have that number covered are then classified as winners and paid out accordingly. We’ll look at the different types of Roulette bets below. The exact betting options available to you depend largely on the Roulette variation you’re playing, and can differ quite a lot, so we’ll stick to covering the main ones. Even-Money Bets – There are a few even-money bets to be found on the Roulette table, and if you’re not familiar with what an even-money bet is, it’s a bet that pays 1:1 – so, essentially, you’re doubling your money. The three most common even-money bets you’ll find at the Roulette table are red/black, odds/evens, and high/low betting options. Straight-Up Number Betting – You can bet on any of the 37 numbers found on the Roulette wheel, and all numbers pay 36:1. So, as an example, a £1 winning bet would return £36. It’s natural to place multiple straight-up numbers bets, as opposed to just one, to increase the chances of winning. 3rd 12 Bet – Similar to the even-money bets, the 3rd bet pays out 2:1 as opposed to even-money, and here, you’re simply staking your money on either one of three columns, or rows. If the ball lands in the column or row you pick, you get paid – it’s simple! Tier Bets – Tier bets are slightly more complex than the bets we’ve looked at above, and they’re designed to allow you to bet on certain sections of the wheel, without having to manually place all of your chips. There are three types of tier bet available; Les Vousins du Zero bet, the Tiers du Cylindre bet, and the Orphelins bet. If you’re new to playing Roulette online, you don’t really need to know about these just yet – but it’s useful to know what they mean, if you see them offered. Neighbour Bets – Neighbour bets allows you to bet on 5 numbers at once, all of which are next to one another on the Roulette wheel. You simply pick a number, and your stake is divided up between that number, and the two numbers either side of it. American Roulette: American Roulette is similar to European Roulette, but the wheel has an extra number; a double zero. The pay-outs however, remain the same, so the addition of the second zero decreases the amount of money you win, when compared against the statistical odds. It’s always best to choose European Roulette over American Roulette, when available. 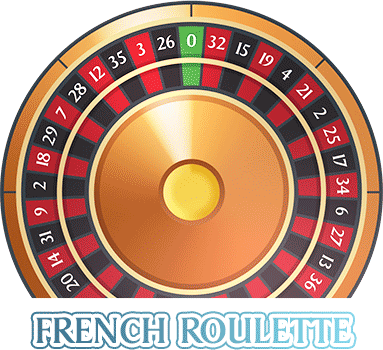 French Roulette: French Roulette is again, very similar to European Roulette, but it actually offers slightly better odds – although it’s not offered at many casinos, and those that do, tend to cap the maximum bets quite low. Still, if you see French Roulette offered, you should always play it over European Roulette or American Roulette, as it offers the best odds. Playing Roulette online couldn’t be easier, and all you need to do is find the type of Roulette you wish to play, choose your table limits, and place your chips. Once you’re happy, and ready to go, just click the “spin” button, and you’ll see an animated graphic of a Roulette wheel spinning. Once the ball lands in its final position, any winning bets will be paid automatically into your account balance. Crowning the ‘best’ type of Roulette is something that depends largely on the player involved, and if you’re looking to play Roulette online for real money, then you need to have a think about what you want from a game. You should also be aware that some Roulette betting sites offer different Roulette games from competitor Roulette betting sites, so don’t always expect to see the same titles on offer. For example, some Roulette games are aesthetically fantastic – but high-definition graphics and realistic animations could cause those on slower internet connections to experience lag or delay. 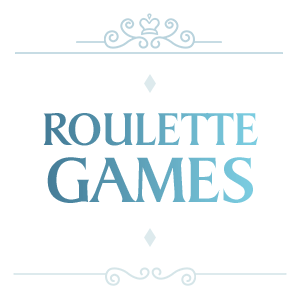 Find a Roulette game you feel comfortable with, and make sure it offers features you may find useful. Finding the right casino to play Roulette at can seem daunting – after all, you want to be able to play a variation of the game you like, while also ensuring you’re going to be paid out fast, if you end up winning. One of the main reasons we started this website in the first place, was to help connect players like you with reputable online casinos – and we’ve worked hard over the last few years to narrow-down the range of sites to a small few. Rest assured, however, that when you play at any of the sites we recommend, you’ll be well-looked after, and it’s incredibly unlikely you’ll ever have any issues playing or withdrawing. In fact, the criteria we use to review online casinos continually changes – and we’re not afraid to remove a casino if we feel it’s standards have dropped. There’s isn’t any skill involved with Roulette as we mentioned earlier – but that doesn’t mean that there aren’t ways that you can improve your chances of winning and turning a profit. One of the biggest pieces of advice you should take to the table, is to bet only what your bankroll allows for. Say you head to the Roulette table with £100. Sure, you could put it all on one spin, and hope for the best – but if you lose, then what? Try to never bet more than 20% of your remaining balance on a single spin, as this will ensure that you can re-bet, and stand a chance of winning your money back if you go on a losing streak. The Wheel – The Roulette wheel is the large wheel that spins around an axis. The wheel carries the numbers you bet on while playing. 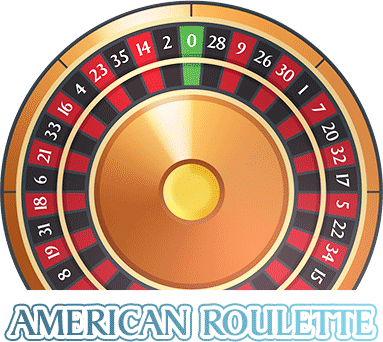 American Roulette – American Roulette is a less-common variation of European Roulette, with the main difference being that the wheel features an extra number – the double zero. American Roulette gives the casino a higher house-edge, so you should avoid it where possible. Column Bet – A standalone bet that covers 12 numbers in a column. Double Zero – Double zero refers to the 38th number found on an American Roulette wheel. European Roulette – The most popular form of Roulette, European Roulette is the game you’re likely to have/will encounter(ed), and it offers some of the best odds of all Roulette games around. Even-Money Bets – Even-money bets are bets that double your money. So, a $10 stake would return $20, if your even-money bet won. Tiers – Tiers are types of bet that allow you to wager on certain areas of the wheel. There are three types, and they all carry French-inspired names. The “Ball” – Every Roulette wheel has a ball that spins inside it, and this ball lands on a number, determining the outcome of every game. Roulette Strategy – A Roulette strategy is designed to help you make a slow, yet steady profit while playing Roulette. Not all work however, so you should be careful about which you decide to follow. What’s the difference between European Roulette and American Roulette? The games are both identical, with the difference being that American Roulette wheels feature a second zero number. This increases the house edge and should be avoided where possible. What’s the minimum bet per spin? The table limits depend entirely on the casino you play at. Most online casinos will allow you to bet on straight-up numbers from $0.50, while even-money bet minimums can vary between $1, and $5. Is there any skill in Roulette? No. Roulette is purely a game of chance, and the only skill involved is knowing when to walk away. How do I start playing Roulette? Simply choose the game you want to play, select your chip value, and place your chips on the Roulette table. Once you’re happy, click the spin button, and you’ll see a virtual wheel spin in front of you, with any winnings paid out immediately after the conclusion of the spin. Online casinos with Roulette for real money requires some filtering through the weeds to find the best online casinos with a genuinely good Roulette product.